Be an advocate for Seniors in Jackson and Josephine Counties. Join us to make a difference for Seniors in your county! What are Expectations for Council Members? 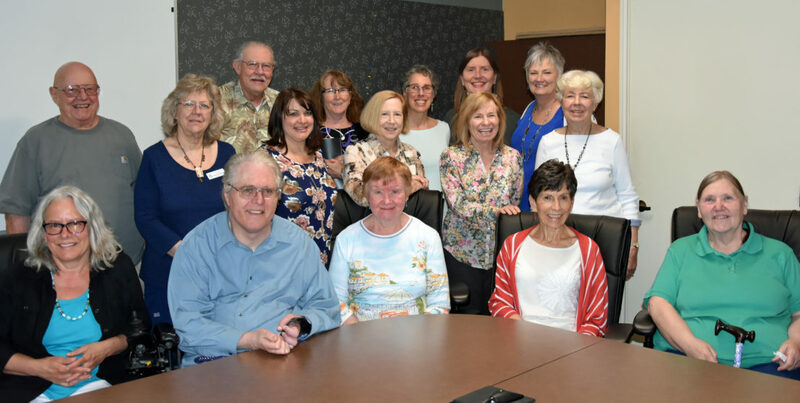 The Senior Advisory Council was established under the Older Americans Act (OAA) to advise the Rogue Valley Council of Governments (RVCOG) Senior and Disability Services which is the designated local Area Agency on Aging (AAA). The Council provides input to staff on matters related to the development and administration of the Area Plan for Jackson and Josephine Counties. Currently, a 15-member Senior Advisory Council appointed by the RVCOG Board of Directors, assist in planning and advocacy. The Council provides advice and assists with new program development and service implementation to meet the needs of seniors and people with disabilities, are advocates and sources of information to the community and advise on key issues and emerging trends affecting seniors and people with disabilities. Council members have the satisfaction of knowing that their involvement results in better services, timely information, and increased resources. Members come from various backgrounds with experiences and skills – be an advocate and make a difference for seniors in Josephine and Jackson Counties. Council members have the satisfaction of knowing that their involvement results in better services, timely information, and increased resources. In addition, they meet with other committed advocates throughout the Rogue Valley. Support Services: Develops key measures to assess outcomes of RVCOG programs and services. Nutrition Advisory Committee: Reviews Food & Friends Program outcomes, including surveys of clients and volunteers. Communications & Outreach: Increases visibility of programs in the community; solicits ideas for additional services, partnerships and funding sources.